Volkswagen Group wants to reinvent itself in the age of connected and electric vehicles. And it starts with Volkswagen’s Moia, a brand new mobility brand with services and vehicles built for the cities of tomorrow. That’s why I’m excited to announce that Moia CEO Ole Harms is joining us at TechCrunch Disrupt Berlin. 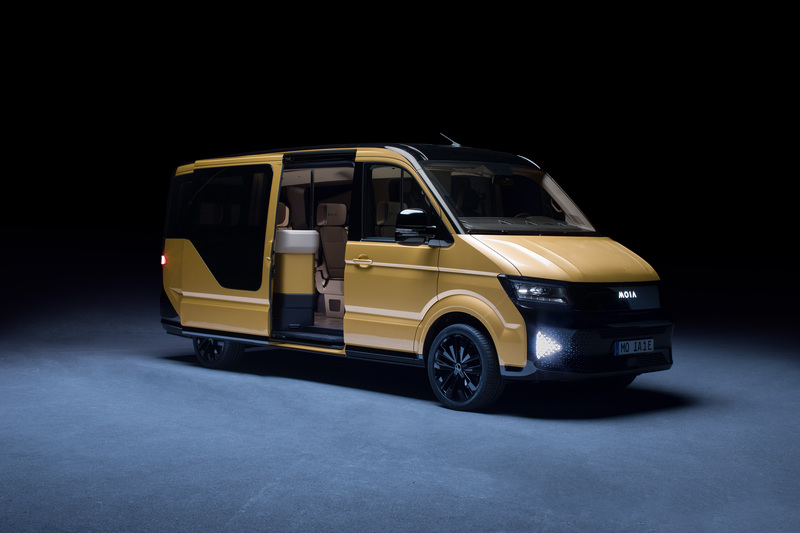 Volkswagen has been covering all bases with Moia. Last year at Disrupt Berlin, the company unveiled an all-electric rideshare vehicle. Moia has been piloting this new vehicle in Hamburg. In addition to six individual seats, the car features USB ports, individual lights, Wi-Fi and storage space at the front. In other words, this is the minibus of the future. With a range of 186 miles, it represents a viable alternative to traditional vehicles. It isn’t a self-driving vehicle as Volkswagen wants to put this model on the road right now. In addition to this hardware strategy, Moia is releasing its own mobility service called… Moia. You can already download the app and order a ride in Hanover. It works pretty much like Uber and all the ride-hailing services out there. But Moia wants to own the software platform. If you want to hear more about Volkswagen’s strategy to disrupt mobility before the company gets disrupted, grab your Disrupt tickets right now. The conference will take place on November 29-30. Ole Harms (43) has been CEO of MOIA since December 2016. After working as a strategy consultant at Capgemini, Harms joined Volkswagen Consulting in 2008. As head of the Sales and Marketing division, he advised Volkswagen's top management. In 2012, he took over as Head of New Business Models and Performance. From 2014 to January 2016 he was Executive Director and Head of New Business Models & Mobility Services. There he initiated the mobility partnership with the city of Hamburg and was responsible for the conception and development of MOIA. Ole Harms lives in Hannover and Berlin.